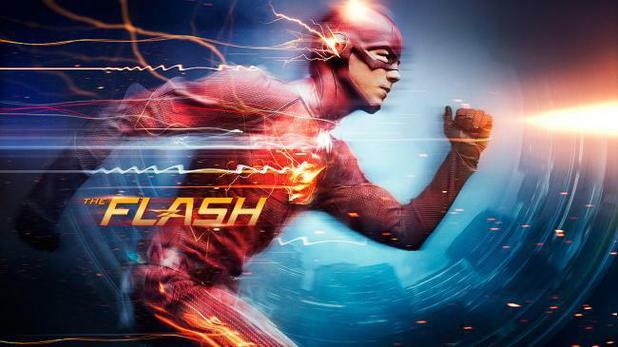 (Spoilers about to follow) What happened at the end of The Flash episode 12? Well Gorilla Grodd is what happened, oh yes! The Flash episode 12 was already one of the most enjoyable episodes to air yet, and then that ending happened and everything got 100 times cooler. 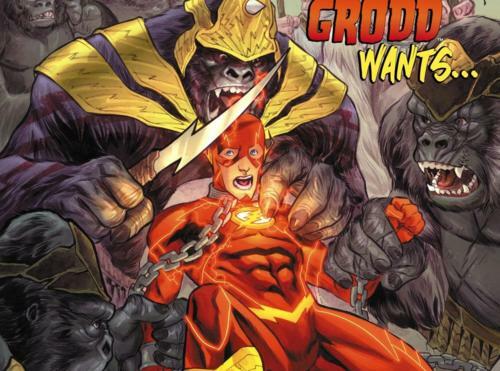 So lets discuss Gorilla Grodd in The Flash! First off, the episode overall was terrific. We got some great (drunken) moments between Caitlin and Barry, and some really emotional moments between Barry and his father. The relationships between the core cast has become the soul of the show, so it’s great that the the show is further developing them. But lets focus this conversation on Gorilla freaking Grodd. So basically Gorilla Grodd is well a gorilla who is also hyper-intelligent and has telepathic powers. Typically Gorilla Grodd comes from Gorilla City, a city of gorillas who have all been given powers by a meteor which crashed in their area. Gorilla Grodd isn’t really liked by his fellow gorillas, with his constant want to be a ruthless leader. So he usually spends most of his time imprisoned in Gorilla City, occasionally escaping and running havoc in Central City to piss off the one guy who can stop him, The Flash. In the TV show, it looks like the origin of Gorilla Grodd has been changed. Instead of a meteor causing a city of gorillas to obtain powers and become anthropomorphic, it looks like Grodd was simply a gorilla being tested in Star Labs. During the explosion he escaped and must have received his powers from the Star Labs explosion instead. Gorilla Grodd has always been intent on having an army of gorillas take over Central City, to recreate Gorilla City there. So it will be interesting to see if he has the same mission on The Flash. However The Flash episode 12 only showed us Grodd attacking humans (which looked pretty awesome by the way), we didn’t see him well…talk or use his psychic abilities. He actually has one of the strongest psychic abilities in the entire DC universe. In fact in the Superman/Batman: Public Enemies story arc, Grodd used his psychic abilities to mind control and entire army of super villains to attack Superman and Batman. Not many have the ability to use mind control on that level. I’m not sure how far they will take his powers on the show, but if you’re introducing Grodd onto The Flash, you have to make him more than just some crazy gorilla, you gotta give him some powers. Oh I’m just imagining an episode of The Flash where Grodd has managed to create an army of gorillas to take over Central City. That would be amazing! Yet super difficult to do on a CW budget. So we may never see Gorilla City, which is a shame. Next week we’re getting some Firestorm action! Oh and it also looks like The Atom will soon be making an appearance on The Flash. And that Atom suit (apart from the helmet) looks really amazing. The Justice League is quickly coming together get excited. Superman 38 Review: Super new power and new reveal! Oh damn! I was surprised they revealed Grodd this early, seemed like they were playing a super long game with him, but it was pretty fun to see him turn up. I am very intrigued about what he’ll be getting up to evil plan wise! I have a feeling that we won’t get Gorilla City here. My guess is that the accident converted an otherwise normal gorilla into the a superpowerful gorilla. They gave us two weeks of tech powered villains (Capt. Cold & Heat Wave and then Pied Piper) to then get us back to the supers. This is just my guess though. Gorilla Grodd is one of my favorite Flash villians. Way way back in the day, when the original Flash television series aired in 1990, I was always hoping that Grodd would show up, although I knew it was unlikely, since I knew the show did not really have the budget or SFX technology to pull off a talking telepathic gorilla. 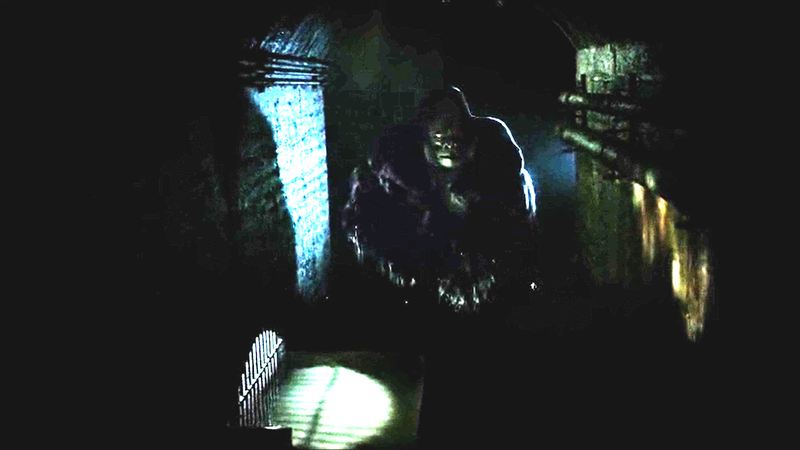 So I’m glad to hear that a version of Grodd appeared on the current TV series.